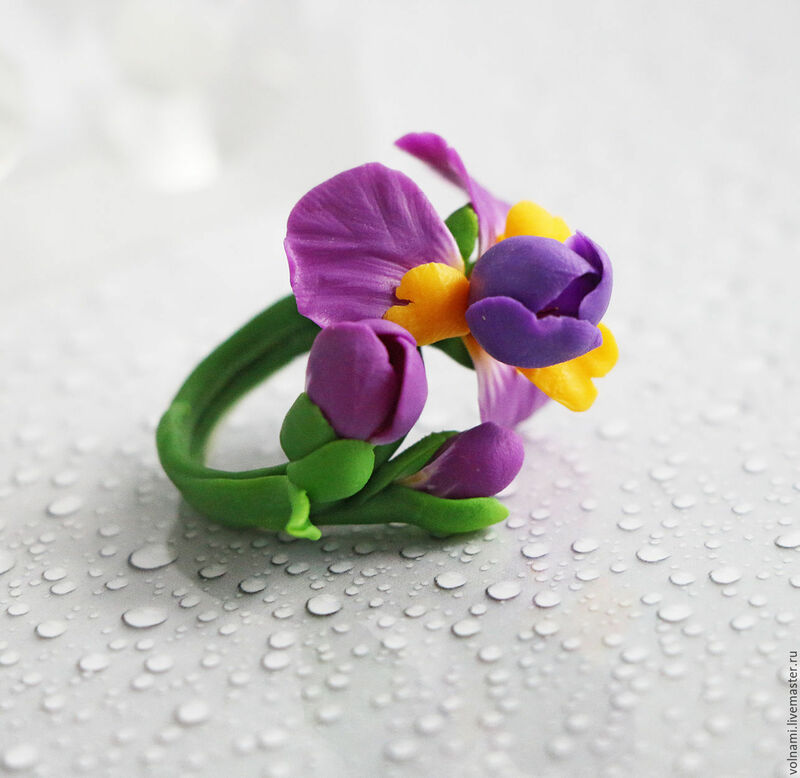 A special style specially created for flower lovers, polymer clay Iris flower jewelry: ring, pendant and earrings. So delicate and surprising, these jewels will delight you every moment with their elegance, bringing graceful notes and diaphanous colors to your outfit. Jewels are women’s best friends, the most wonderful things that man has created, or at least that’s what the vast majority of women think. Although every woman is unique, it often happens to meet someone who carries the same jewelry collection as you. 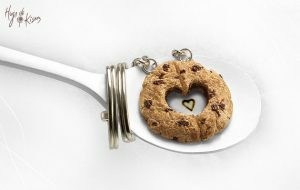 Such moments will be avoided if you choose handmade jewelry. 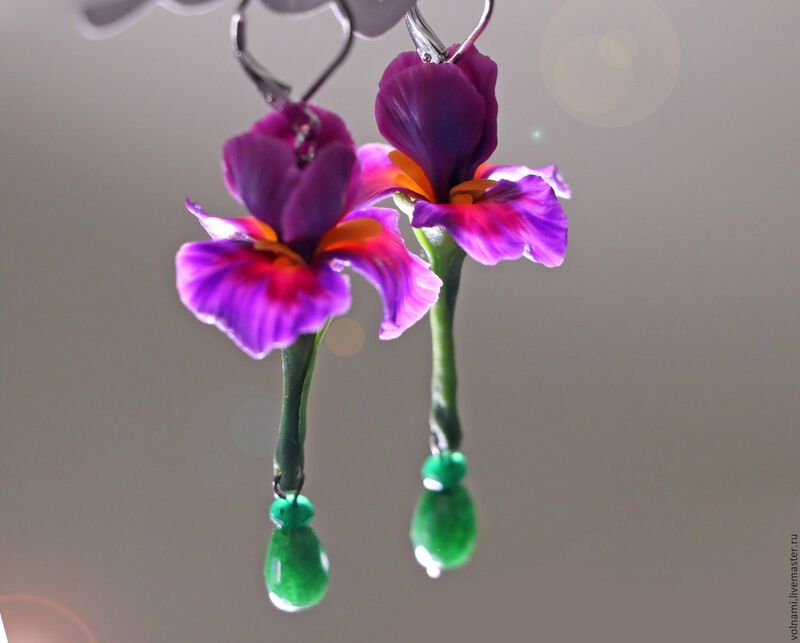 And I think this collection of polymer clay Iris flower jewelry can be a good start. 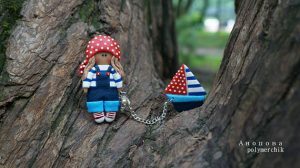 I have found this polymer clay Iris flower jewelry presented in this article on a nice shop of handmade flower jewelry on livemaster.ru. Take a close look, you’ll enjoy them! 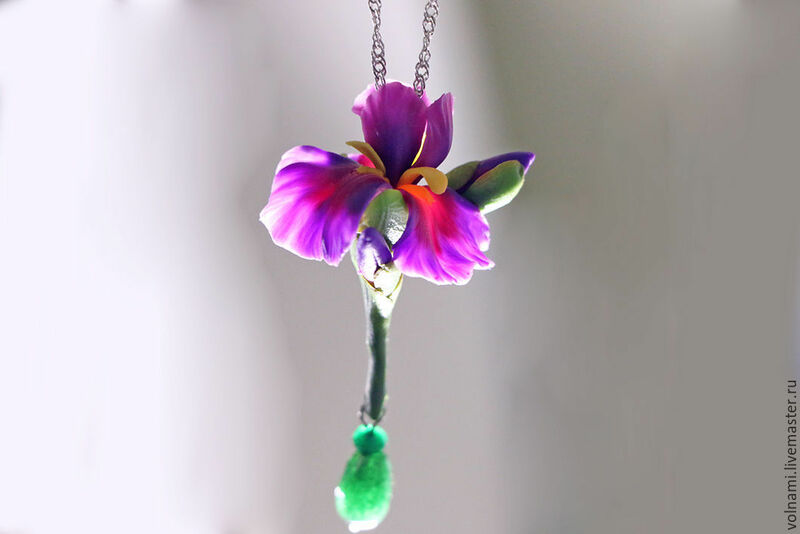 From the polymer clay Iris flower jewelry collection I’ll die to have the pendant. 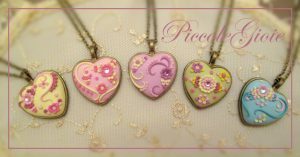 If you are a jewelry addicted women and happens that you know how to work with clay, you can use this link for more lovely ideas and this link for free polymer clay tutorials. Enjoy them! Thanks for visiting and don’t forget to share your creations with us!